Andre Dubus III is the author of seven books: The Cage Keeper and Other Stories, Bluesman, and the New York Times bestsellers, House of Sand and Fog, The Garden of Last Days, Gone So Long and his memoir, Townie, a #4 New York Times bestseller and a New York Times "Editors Choice". His work has been included in The Best American Essays of 1994 and The Best Spiritual Writing of 1999, and his novel, House of Sand and Fog was a finalist for the National Book Award, a #1 New York Times Bestseller, and was made into an Academy Award-nominated film starring Ben Kingsley and Jennifer Connelly. His new book, Dirty Love, was published in the fall of 2013 and has been listed as a New York Times “Notable Book”, a New York Times Editors’Choice”, a 2013 “Notable Fiction” choice from The Washington Post, and a Kirkus “Starred Best Book of 2013”. As a narrator of his audio books, he has won an Audiofile “Best Voices of the Year” award for his 2011 memoir, Townie, (Blackstone Audiobooks), a 2013 “Earphones” award for Dirty Love, (Audible), and is a 2014 Finalist for an “Audie Award” for his short story collection, The Cage Keeper and Other Stories, (Blackstone Audiobooks). Mr. Dubus has been awarded a Guggenheim Fellowship, The National Magazine Award for Fiction, Two Pushcart Prizes, and he is a 2012 recipient of an American Academy of Arts and Letters Award in Literature. His books are published in over twenty-five languages, and he teaches full-time at the University of Massachusetts Lowell. He lives in Massachusetts with his wife, Fontaine, a modern dancer, and their three children. 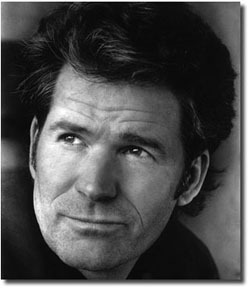 Andre Dubus III is the author of six books, including the New York Times’ bestsellers House of Sand and Fog, The Garden of Last Days, and his memoir, Townie. His most recent book, Dirty Love, published in the fall of 2013, was a New York Times “Notable Book” selection, a New York Times “Editors’ Choice”, a 2013 “Notable Fiction” choice from The Washington Post, and a Kirkus “Starred Best Book of 2013”. Mr. Dubus has been a finalist for the National Book Award, and has been awarded a Guggenheim Fellowship, The National Magazine Award for Fiction, two Pushcart Prizes, and is a 2012 recipient of an American Academy of Arts and Letters Award in Literature. His books are published in over twenty-five languages, and he teaches full-time at the University of Massachusetts Lowell. He lives in Massachusetts with his wife, Fontaine, a modern dancer, and their three children. "It's a violent book in many ways, but the violence that is described is the kind that is with us every day, whether we recognize it or not. The characters are wonderful and compassionately drawn, even the thugs prowling the streets of greater Boston's underworld. No one who reads this book will ever forget it." Keep up to date on Andre's new books, tour dates and more! © 2016 Andre Dubus III. All Rights Reserved.